You’ve decided which size iPhone 6 to get, and maybe you even plan to pre-order so that you can have it in your hands next week… but are you eligible for an upgrade and subsidy through your cellular phone provider? That’s what we’re going to find out, and it only takes a moment. You can use one of two ways to quickly check your eligibility for the iPhone 6 upgrade, either with Apple’s eligibility upgrade checker tool, or directly through your cellular carrier. Both will let you know if you qualify for an upgrade and how much it costs. We can confirm the AT&T and Verizon checker works, and checking eligibility through T-Mobile and Sprint has been confirmed by MacRumors. Another option, which works for all cellular providers in the USA, is to check subsidy upgrade conditions through Apple’s website. 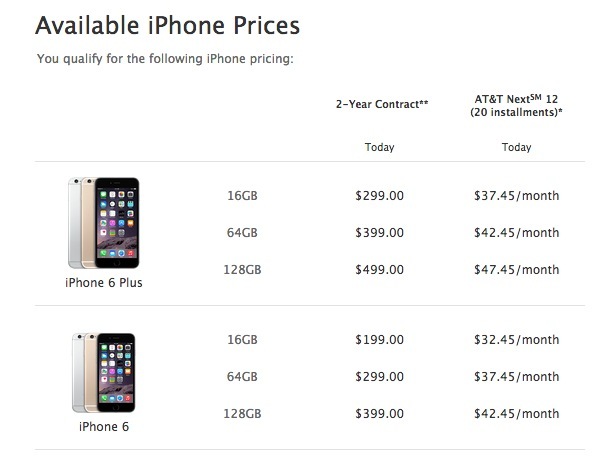 This tells you what the price of a new iPhone 6 or iPhone 6 Plus will be, but does not mention the specific fees imposed by carriers (like the $40 AT&T fee). Not Eligible for an Upgrade? If you’re not in a contract, you want to avoid contracts, or you just renewed a contract, you’re left with a few options. Either pay to renew the contract and get less of a subsidy for the iPhone 6, or buy the iPhone 6 outright at full price, a considerably more expensive option. Otherwise, just wait it out until you’re eligible for the subsidized carrier upgrade, whether that’s months or years depends on your contract plan, and you can check what your status is at any time with the above dialing codes or Apple’s website. What’s this $40 fee? AT&T wallet padding. I guess I’ll buy a share of T at the same time. Doesn’t seem to work on Sprint. Dialed it and it said I needed to add an area code. What do you mean “buying a T-Mobile iPhone 6 from Apple is sold off-contract at full price”. Is this an unlocked phone or locked to t-mobile, just not on contract? Purchasing an iPhone 6 at full price is NOT “a considerably more expensive option”. 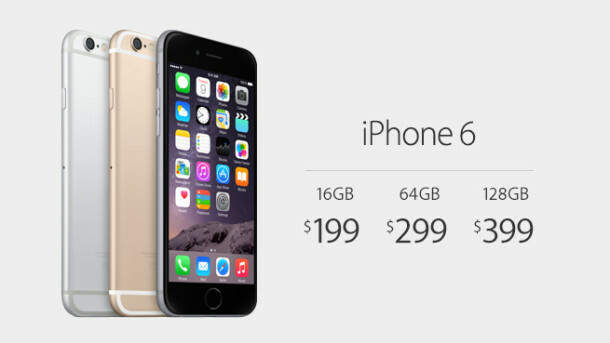 For example the “$199” 16GB iPhone 6 is $32.45 for 20 months which is $649. The full purchase price is $649. For most people it’s more expensive to pay $649 for something when you could pay $199 and be in a contract. Sign a two year contract with AT&T, Verizon, or Sprint, Mohanad. You can do that at any Walmart or APPLE STORE. Why don’t you CHECK your iPHONE 6 upgrade eligibility to find out what you will get like the instructions tell you how to do. my renewal for AT&T .. Family plan is up in oct. and I want to renew and how much phone then?